Various political and apolitical bodies of the hills have come together on one platform - the Bijanbari Sub-Division Demand Committee - to demand for the creation of a Bijanbari sub-division. They submitted a memorandum today to the Darjeeling district administration in the regard. The committee members comprise representatives from the Gorkha Janmukti Morcha, Trinamool Congress, Jan Andolan Party, CPM and the Communist Party of Revolutionary Marxist and merchant associations and social organisations of the area. 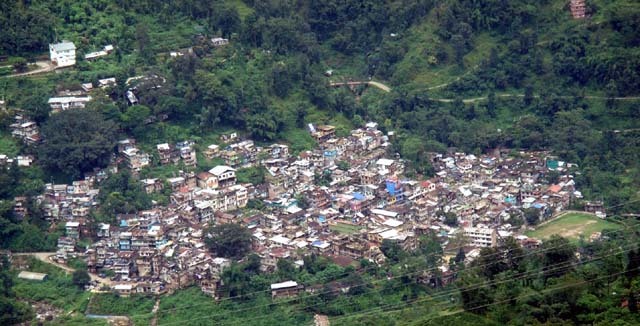 The sub-division demand committee that was formed on June 19 has proposed that Bijanbari, comprising the areas of Rimbick-Lodhoma, Bijanbari-Pulbazar and Darjeeling, be trifurcated into three development blocks. It also wants the Rimbick-Lodhoma and Bijanbari-Pulbazaar development blocks to be created into two separate sub-divisions. “It is the question of the people’s wish and their necessities. Our committee comprises representation from various political parties and we want to take forward the demand to its positive conclusion in one voice,” said the BSDC convener, who is also a GJM central committee leader of Bijanbari. The GJM, although opposed to the state government’s move to form development boards, has given its consent for the creation of new districts and sub-divisions. Similar demands have started cropping up and have also started gaining momentum, following the state government’s recent decision to form a separate Kalimpong district and a Mirik sub-division, the latter presently being one of the blocks under Kurseong sub-division. Topographically, Bijanbari block under Darjeeling sub-division measures 415.69 sq km and is one of the eight blocks of the district. It has a total population of 1,26,747 spread over 23 GPs. It has 94 khasmal, revenue villages, tea gardens and forest mouzas. Income sources include paddy, tea, maize, potato, ginger and cardamom cultivation. Lama said the district magistrate responded positively and assured the committee of starting the process of creating new blocks soon. “The DM assured us he would look into the demand of division of blocks and start the process as the matter is under his purview. And regarding the demand for sub-divisions, he has promised to communicate with the state government, which is the final authority,” the DSDC convener said. Hill political - apolitical bodies unites for Bijanbari sub-division - The committee members comprise representatives from the Gorkha Janmukti Morcha, Trinamool Congress, Jan Andolan Party, CPM and the Communist Party of Revolutionary Marxist and merchant associations and social organisations of the area.